Wineries can soak up a lot of money – as per the popular industry joke “How do you make a million in wine? Answer: Start with two million”. The landscape is littered with vinous vanity projects created by wealthy industrialists, downsizing media tycoons or hollywood stars who can afford to blow fortunes on pipe dreams. Some endure, others don’t. But never mind budgets which might be the envy of small countries – can these operations actually produce good wine? This was my apprehension when Podere Forte‘s people reached out to my people a few weeks ago (Alright, I have no people, but they still reached out). 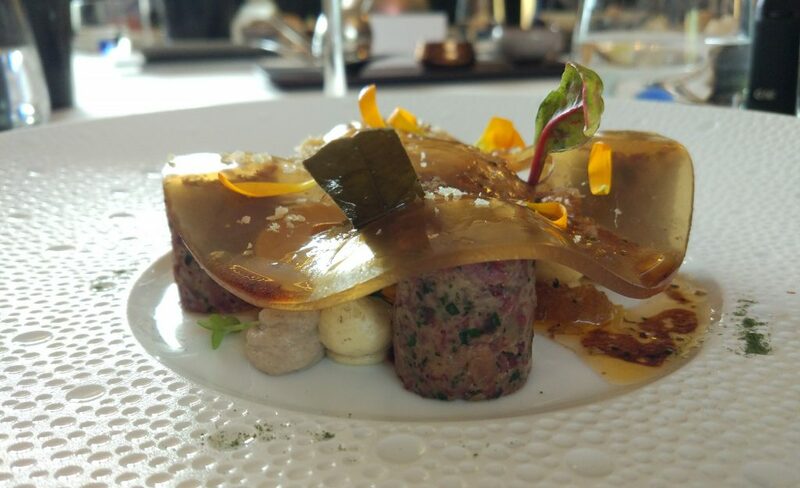 Their invite was to two Michelin star restaurant Park Heuvel in Rotterdam, by private car no less, with the promise of a special tasting menu and the opportunity to get to know their wines. My first instinct was to decline. With such an extravagant level of hospitality, I could already hear the cries of “shill” echoing around the interwebs. Never mind budgets which might be the envy of small countries – can these operations actually produce good wine? In the end, I accepted for the overriding reason that Podere Forte not only works biodynamically, but is also certified by Demeter. Any producer who puts their energy wholeheartedly into biodynamic agriculture gets my respect, doubled in spades if they go the extra mile to get the piece of paper. Whatever one thinks about some of the more “woo woo” aspects, biodynamics is a hugely effective methodology for farmers to forge deeper connections and understanding with their land. But biodynamics isn’t for the faint of heart. No business owner in their right mind would make the conversion, let alone achieve Demeter certification, unless they believed in it. The costs are too high, the additional financial returns negligible. Hence, most bottles that proudly display the Demeter logo come from small artisan estates where ideology and philosophy hold greater sway than profits. Demeter-certified producers often have at least one foot in the “natural” camp. That’s to say, there’s a good chance that the contents of the bottle will be unsulphured, unapologetically hazy and radical in content. Podere Forte doesn’t fall into this camp. 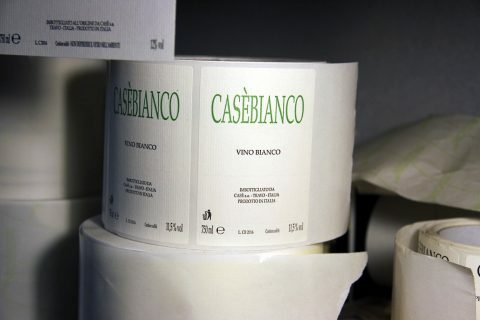 Its wines are cossetted, polished and fretted over to the nth degree. The end result is less exciting than it should be. I found them over-oaked, sometimes unremittingly so. They seemed soulless, so finessed and fretted-over that they could probably never live up to the leviathan dreams of their creators. Over the course of an exquisite lunch (chefs Erik van Loon, Jarno Eggen and Fred Mustert should be very proud), we learnt from our host Giovanni (the operation’s sales director) that Podere Forte’s owner Pasquale Forte has a background in electronics (He’s owner and head honcho at the massive Eldor corporation) and that he’s very passionate about creating a sustainable, holistic farm (or Podere). I’d wager that he’s also a bit of a control freak, bordering on the obsessive. Podere Forte employs two full-time scientists to monitor its 21 hectares of vineyard and 110 hectares of farmland, and proudly boasts that some 1,630 person-hours per hectare per year are expended in the winemaking and vinegrowing. 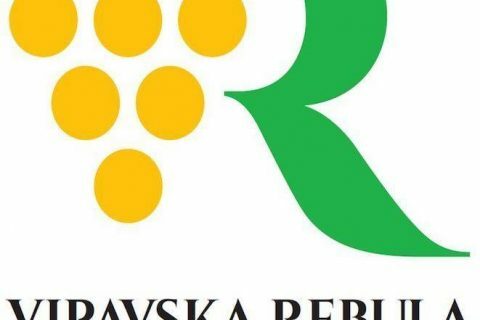 That’s an extraordinary amount of effort – and must be an extraordinary cost too, especially when the estate’s vineyard consultants are none other than Claude and Lydia Bourguignon (their clients include Domaine de la Romanée Conti, Louis Chaves, Villa Maria, Huet and many other luminaries across the globe). 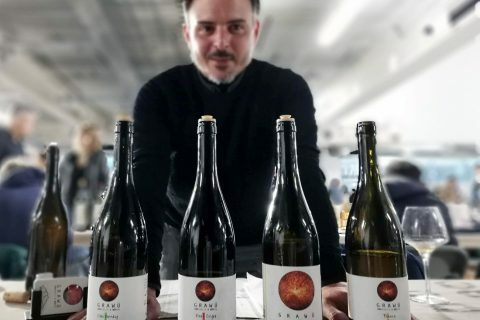 Forte’s watchword is no-expense-spared, hi-tech in every way – including plentiful new French oak barriques, custom designed “body builder” bottles and the use of drones to apply some of the biodynamic preparations. But no-expense-spared doesn’t always mean better results. 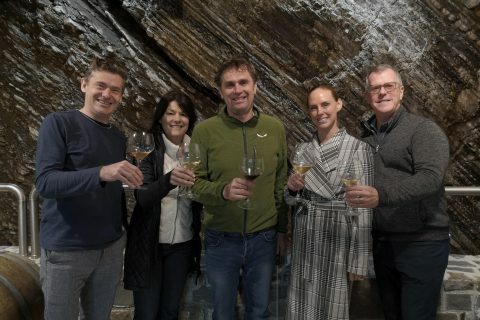 And with the multitudinous team of experts picking over every grain of dust across the estate, one wonders if the poor winemaker has much say in the process? Expense or not, the wines just didn’t set my world alight, especially not at their ambitious prices (around €60 RRP for “entry level” Petruccino, and €150 – €160 for the two “Grand Vins”). The winemaking style, indeed the whole concept, feels old fashioned and cast in a wanna-be Super Tuscan mould. 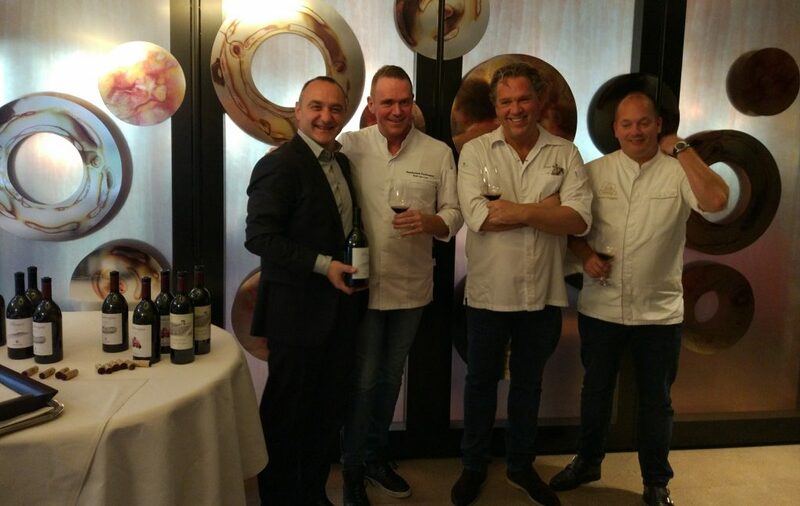 It is surely no coincidence that Giovanni used to work for Tenuta Dell’Ornellaia. 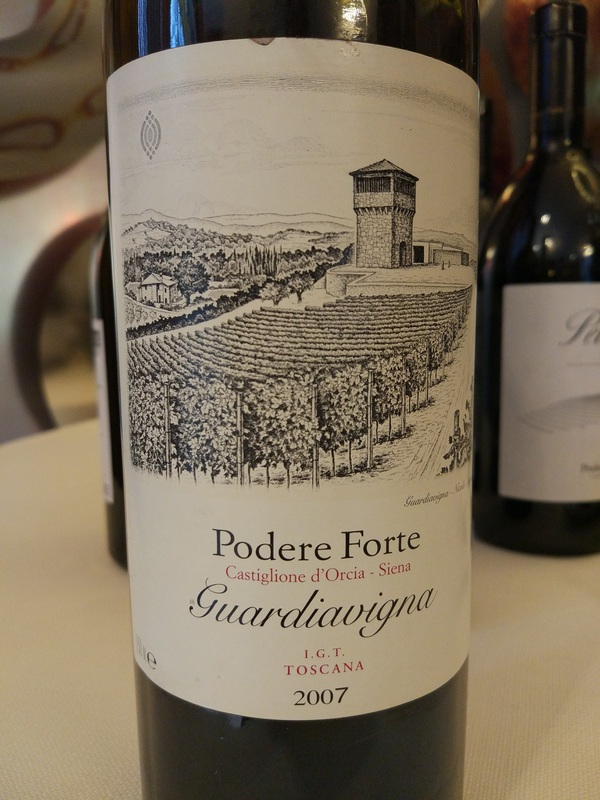 I will confess to enjoying two mature vintages, Petrucci 2008 and Guardiavigna 2009 – serious patience is required before these wines really speak for themselves. 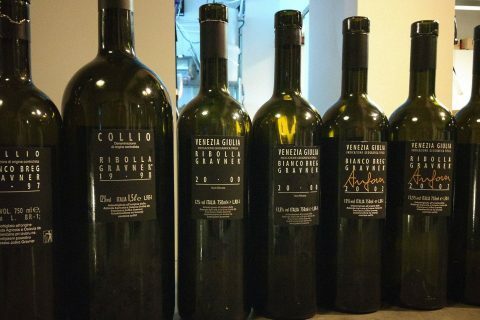 The Forte family’s persistence and commitment is not in doubt, but for more authentic, characterful Tuscan wines made in a sustainable way, I’d look elsewhere. Valdonica, Ampeleia, Antonio Camillo, Colombaia and Pacina spring to mind. If Podere Forte could retain its admirable commitment to biodynamics and the land, but stop fussing quite so much over the rest of its operation, it might achieve much greater individuality and expression. Not to mention saving the odd million or two. Then again, customers in the market for a €150 bottle of wine probably have other priorities. They’ll be suitably impressed by the string of high scores from the likes of Galloni and Tanzer, and only marginally troubled by that strange Demeter logo on the back label. I’ll get my coat shall I?